Khaleghi, A., Omidi Najafabadi, M. (2015). The Role of Stress Management in Self-Efficacy; a Case Study in Tehran based Science & Research Department of Islamic Azad University Natural Resources & Agricultural Faculty Students. International Journal of Advanced Biological and Biomedical Research, 3(3), 303-308. Arezou Khaleghi; Maryam Omidi Najafabadi. "The Role of Stress Management in Self-Efficacy; a Case Study in Tehran based Science & Research Department of Islamic Azad University Natural Resources & Agricultural Faculty Students". 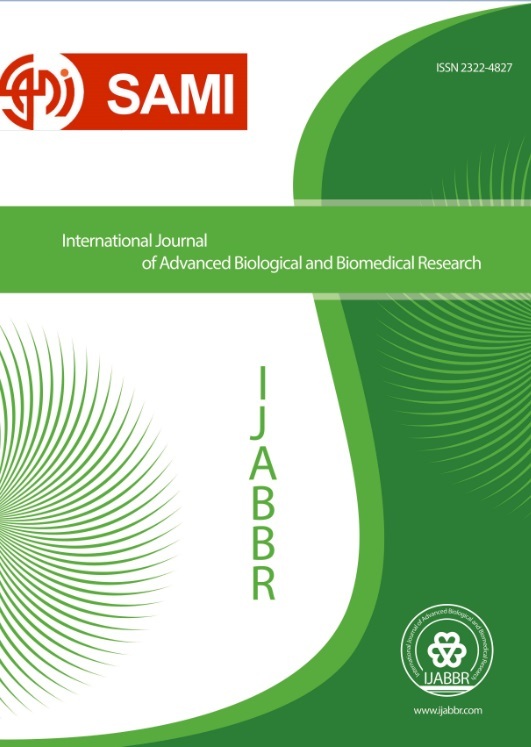 International Journal of Advanced Biological and Biomedical Research, 3, 3, 2015, 303-308. Khaleghi, A., Omidi Najafabadi, M. (2015). 'The Role of Stress Management in Self-Efficacy; a Case Study in Tehran based Science & Research Department of Islamic Azad University Natural Resources & Agricultural Faculty Students', International Journal of Advanced Biological and Biomedical Research, 3(3), pp. 303-308. Khaleghi, A., Omidi Najafabadi, M. The Role of Stress Management in Self-Efficacy; a Case Study in Tehran based Science & Research Department of Islamic Azad University Natural Resources & Agricultural Faculty Students. International Journal of Advanced Biological and Biomedical Research, 2015; 3(3): 303-308.